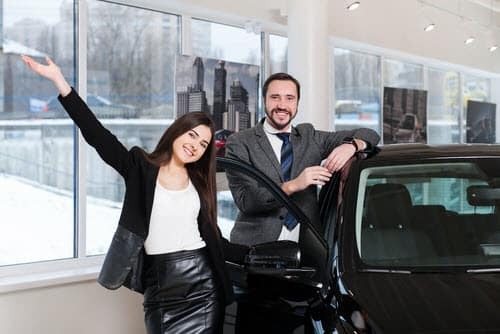 No matter where you are in your Kia journey—whether you’re still searching for the right car or need some repairs—you deserve great customer service every step of the way. That’s our main goal here at The Kia Store. See how our dealership helps drivers in your town, and contact us if you have any questions. If you’re looking for a Kia near you, then check out our extensive inventory. We have lots of new models available, including the Sorento, Optima, and Forte. We also have lots of used and certified pre-owned sedans, trucks, and SUVs. You can begin your car search online, and use the filters to narrow down options by body style or mileage. When one catches your eye, contact our dealership to take a test drive. We’ll let you sit behind the wheel, go over the car’s features, and have you take it on the road to experience its performance for yourself. When you’re ready to drive home in your dream car, visit our car financing center to speak with our experts. 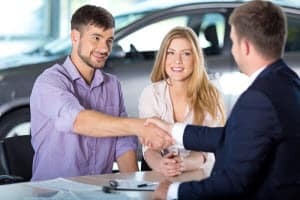 They’ll go over your budget, and will help you decide whether buying or leasing is your best option. They’ll also come up with a monthly payment plan that works for you. Plus, whichever ownership route you decide to take, we’ll help get the terms that you deserve and are happy with. To keep your new purchase lasting the years and miles, be sure to schedule service for routine maintenance or any needed repairs. Our state-of-the-art facility is comprised of a team of certified technicians with years of experience. They have the skills and know how to properly diagnose and fix any issue with your vehicle. They also only use genuine parts, so you’ll be in a well-running machine for a long time. If you want to know more about Kia service in your area, then find your city or nearby town on this page, and click the link. We here at The Kia Store work hard to have everyone who walks through our doors leave with complete customer satisfaction. To see how we can help do that for you, contact us online or visit us in store today!